﻿ Get out of fifth! Ok cars been on the road about a week now and teething problems are starting to emerge. Finding the car cycles up gears lovley but can be an absolute tool to get out of 4th and 5th rolling. Gear stick appears to have a fairly large element of play but still selects gear no problem. Double clutching sometimes allows me to be able to pull out of 5th. 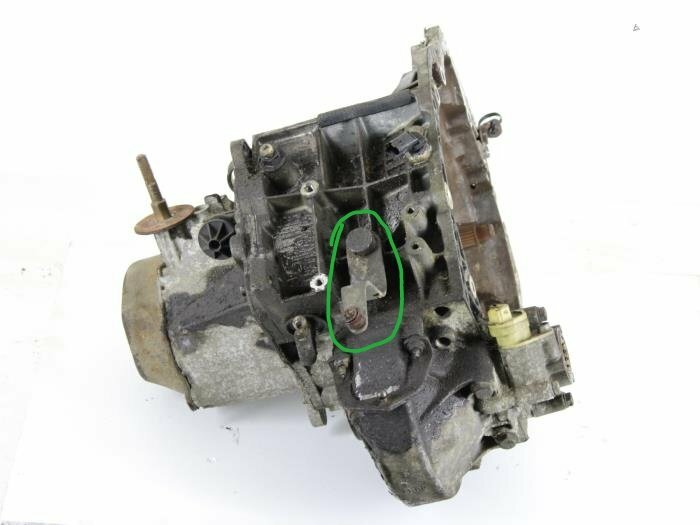 Problem dosnt seem to be present without the engine running. What type of things should i be looking for that could cause this issue? Threads don't see much action these days man, i wouldn't take it personally. I can't help with your problem though I'm afraid. (06-09-2018, 09:21 AM)Danny Wideboy Wrote: Threads don't see much action these days man, i wouldn't take it personally. (06-09-2018, 11:46 AM)Uberderv Wrote: Are the rods adjustable? Yeah found a couple of the ends were loose so fear ive lost the correct lentgh of them. Just drained and refilled the box oil worryingly only 1 3/4ltr came out. Not the biggest loss but coupd cause some issue? Refilled again with another fresh 2ltr. Guy at mpd suggested clutch drag if the self adjusting cable hasnt sorted itself? What happens if you select 4th/5th with the clutch fully down while idling? If it's clutch drag the engine should try to pull you forward. All gears are usually affected though, had a dragging clutch on my GTi6, it got to the point where it was pulling me onto a roundabout in 1st with the clutch down, I tried to wrench it out of gear and broke the linkage so it was stuck in first pulling forward, just had to switch off to avoid an accident. That wasn't a fun journey. (06-09-2018, 12:22 PM)Toms306 Wrote: What happens if you select 4th/5th with the clutch fully down while idling? If it's clutch drag the engine should try to pull you forward. could it be a torque reaction? (06-09-2018, 05:21 PM)Magenta Sunset Wrote: could it be a torque reaction? What quick shift is it? (06-09-2018, 06:40 PM)luke306rallye Wrote: What quick shift is it? If linkages etc are suspect i could be better off replacing the whole setup back to oem. The adjustable rods potentially have lost there original lentgh and are worn. Actual knuckle for the gear lever seems to have play. Someone/something else also killed the quote functionality but no one cares about this place anymore!!!! with the front wheels up in the air, retry, any difference ? What system is your "quickshift" system ?? does the initial gear stick movement disengage the clutch ?? I'd say your problem is in the linkages or the ball as Miles suggests, what you say about it "falling out of the H" sounds like it's going beyond its normal operating range and getting stuck.